Connor has served as the Children’s Minister at Calvary since April 2018. He grew up in small town Washington, Iowa before moving to Minneapolis, Minnesota to complete a Bachelor of Science in Children & Family Ministry and Bible at the University of Northwestern, St. Paul. 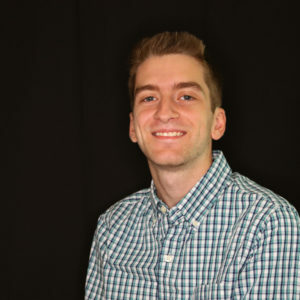 Connor has been doing children’s ministry since High School, and prior to moving to Kentucky he was the Children’s Ministry Intern at an urban church in North Minneapolis as well as a program coordinator for Living Hope Ministries in NE Minneapolis. Connor is a huge Minnesota Vikings fan and cheers on any Minnesota sports teams. He enjoys traveling, hiking, disk golf, sports, and playing music.